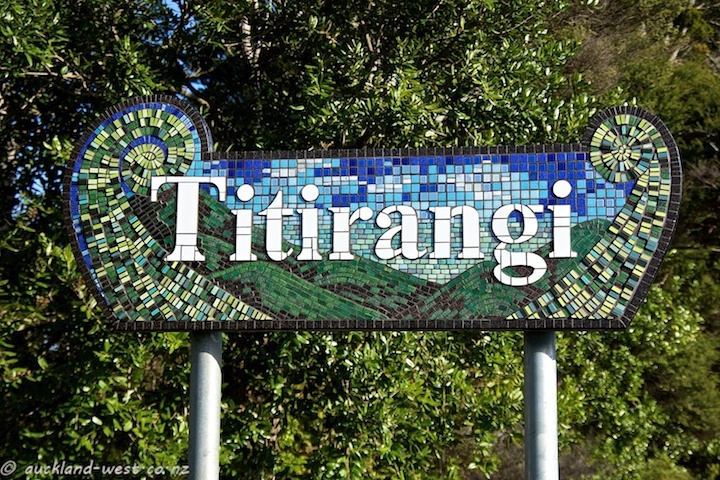 Some months ago, the welcome sign to Titirangi disappeared – all the mosaic tiles had gone, leaving behind a bare backing board. Now a replacement has gone up, made by the original artist: Kate Millington. 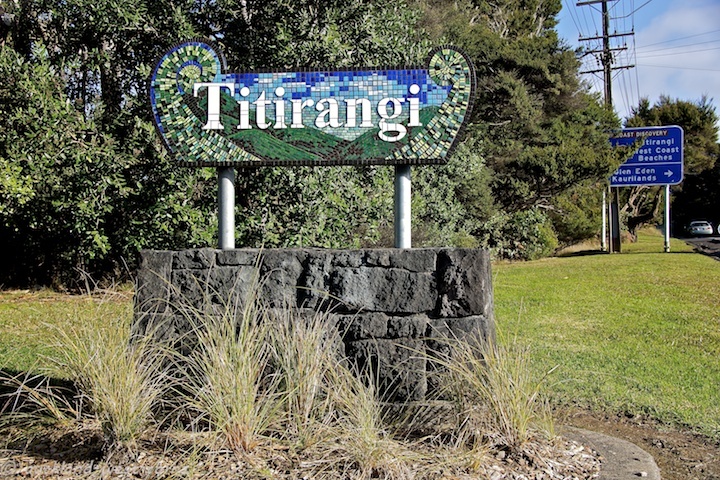 As before, it features fern fronds, bush-clad hills, the sea, and above all the sky (Titirangi is often translated as “Fringe of Heaven”). Cause for celebration, even if it is a bit cold for a street party!